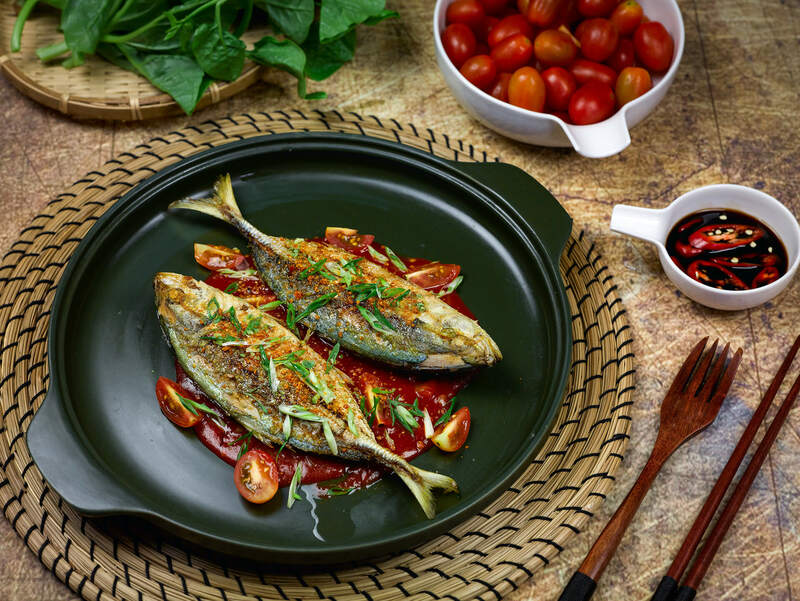 Frying dishes in the special Ming Long pan allows them to retain their glow, be well cooked and retain nutrients. 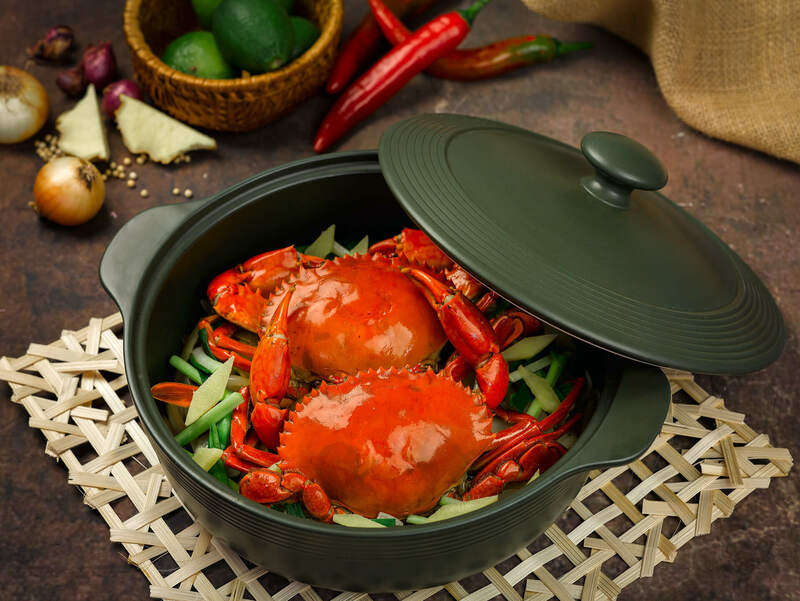 Steamed chicken has gleaming golden skin, juicy meat and natural sweetness, while steamed prawns and crabs have their signature aroma and flavor retained. 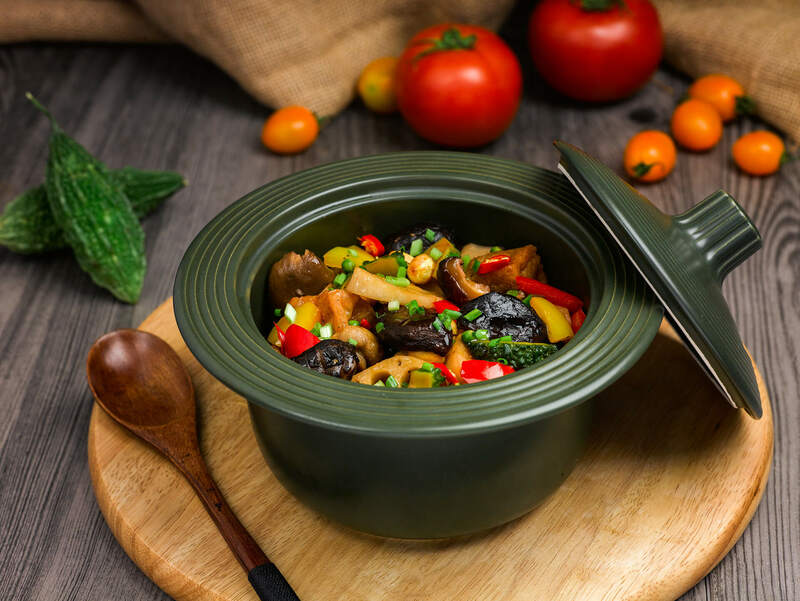 Water spinach and other kinds of vegetables or roots cooked in a macrobiotic pot retain their texture, fragrance and sweet taste. 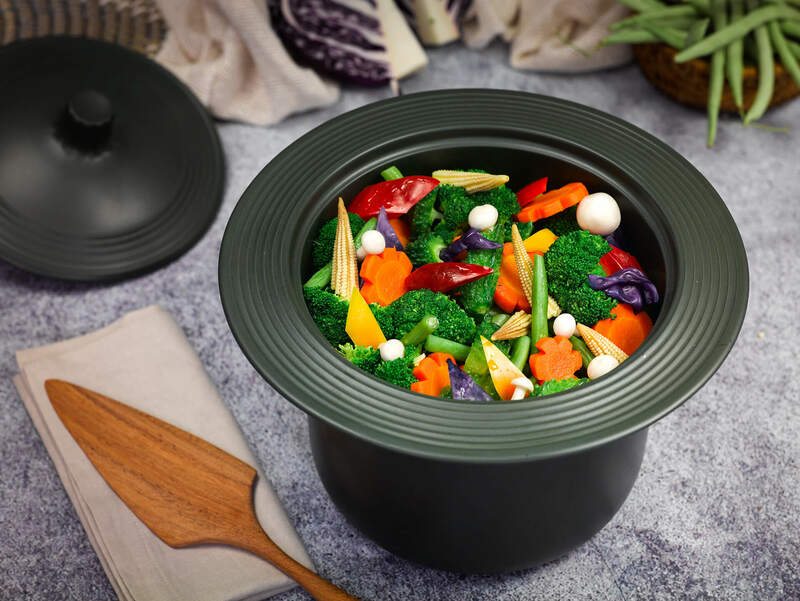 Ly Ngoc Minh has created macrobiotic pots to cook food without adding water, using thermal transmission that preserves the ingredients’ taste and nutritional values. 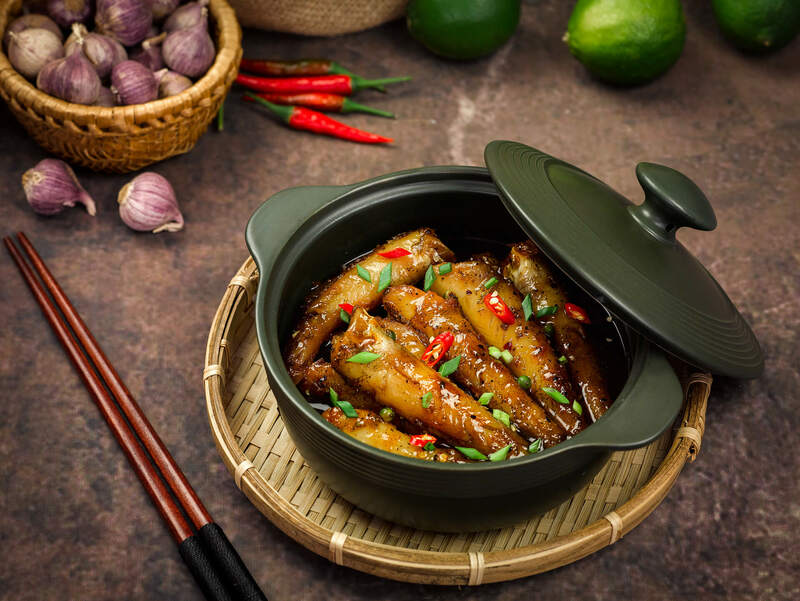 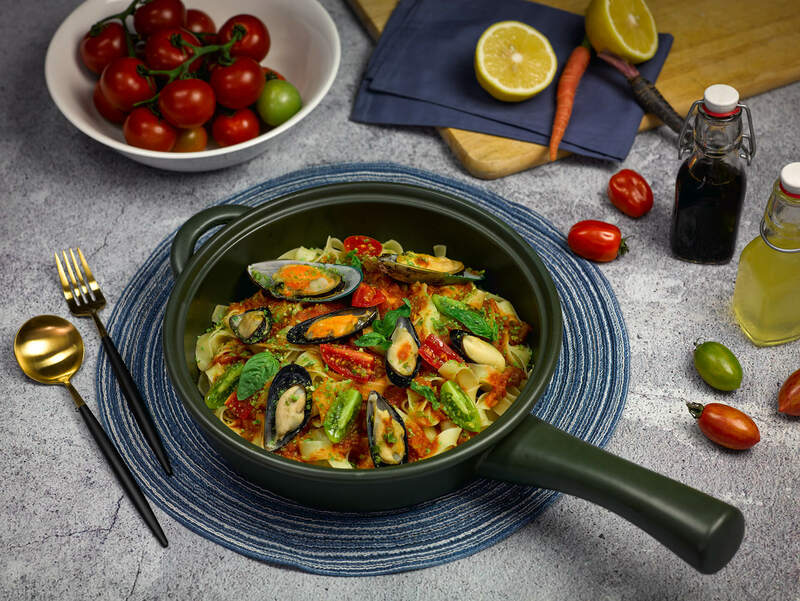 Minh Long Healthycook, a new line of products highlighted by a set of moss-green porcelain cookware capable of preserving the nutritional value of food through frying, steaming or boiling. 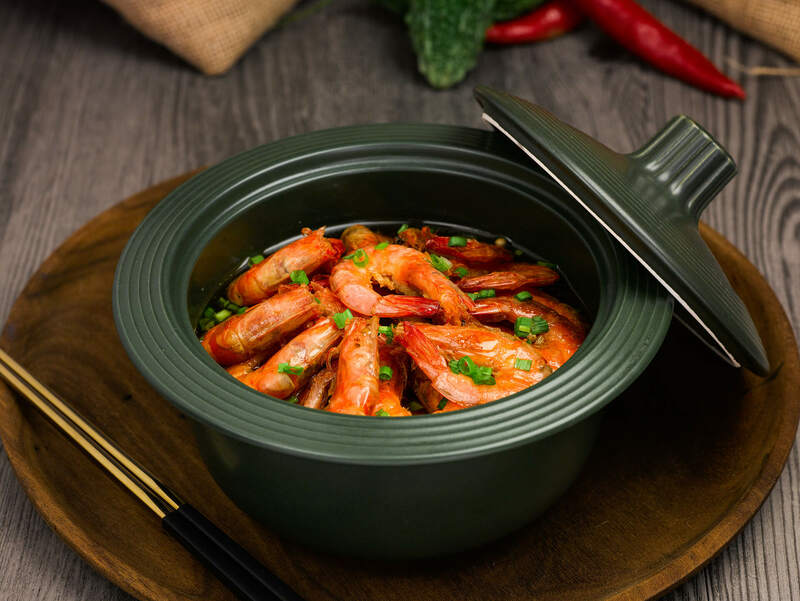 Ly Ngoc Minh, general director of Minh Long Co., said the porcelain products are a bold revolution that he has devoted over ten years to. 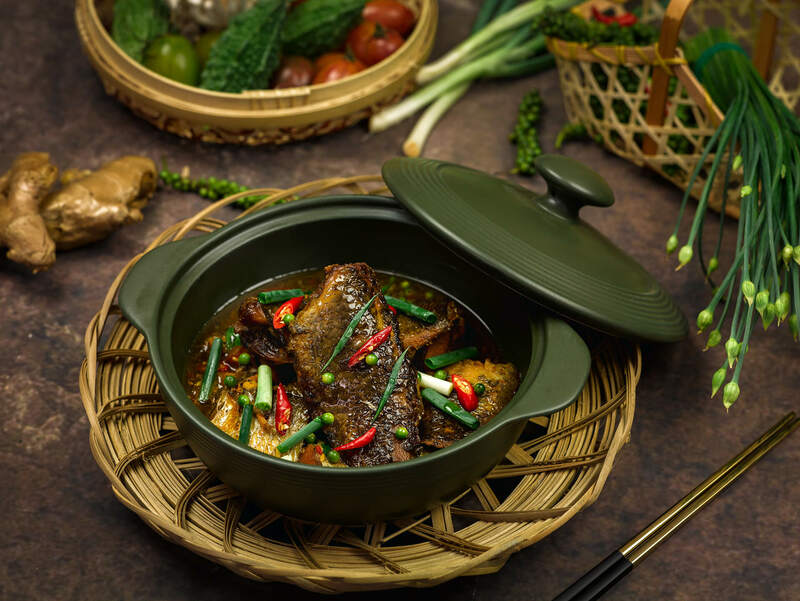 Minh said earthenware pots are loved in Vietnamese kitchens because they are resistant to the acidic and alkaline components found in food when cooked at high temperatures, and they do not release toxic substances like metal pots. 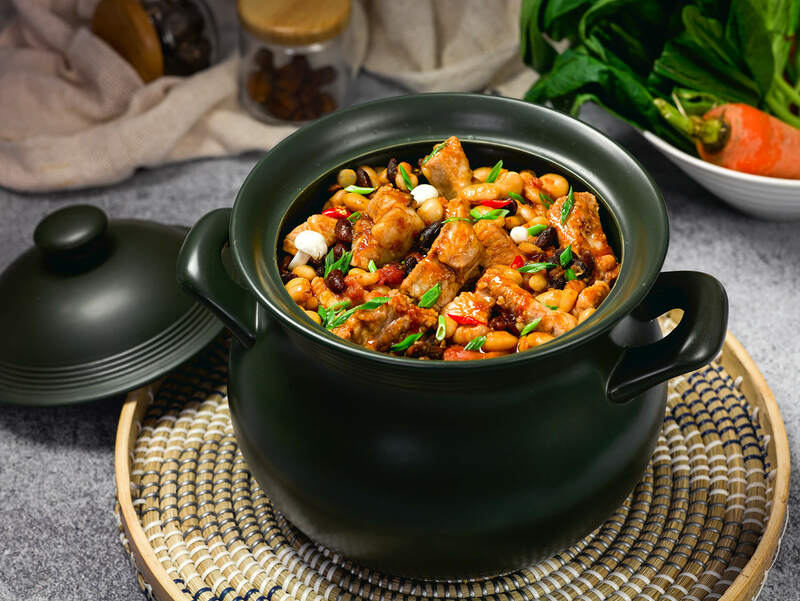 But the traditional pots also have their limitations because they are fragile and poor conductors of heat so the food takes a long time to cook. 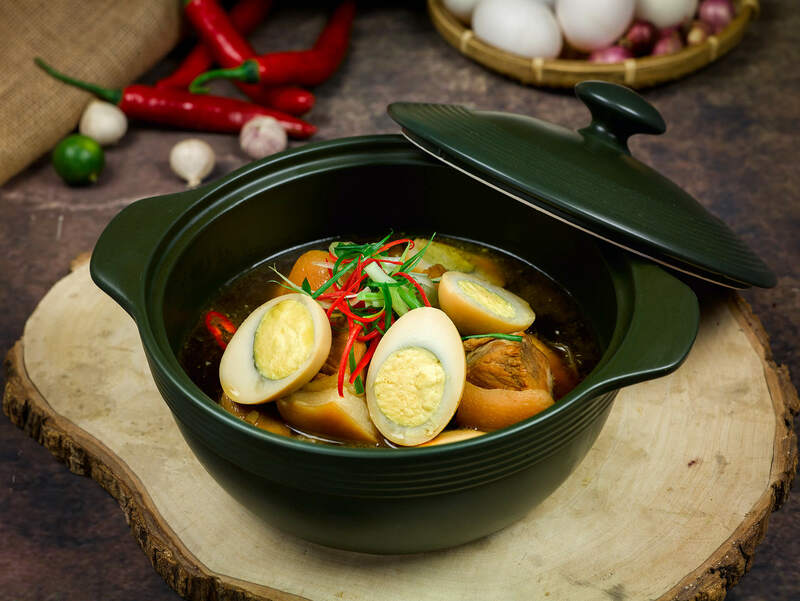 The new Ly range has all the mentioned shortcomings fixed and the positive features improved. 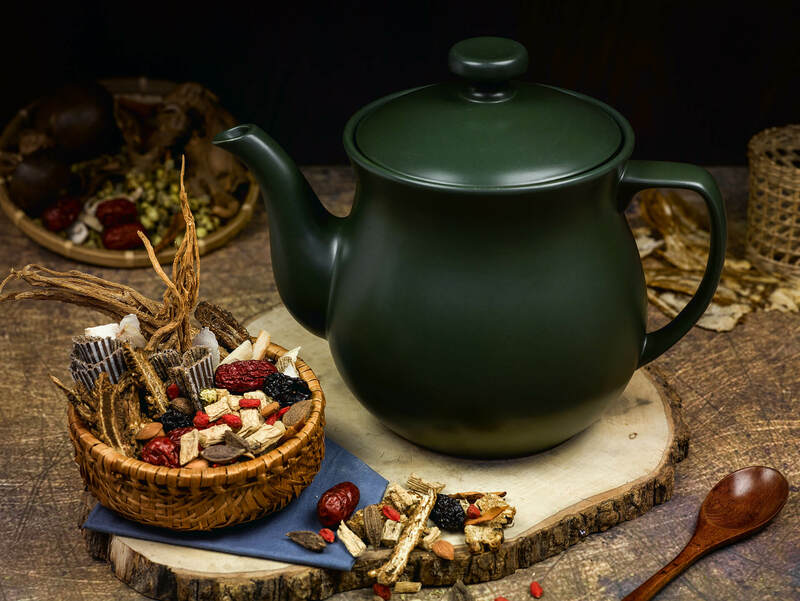 The products do not release any toxins and have better thermal shock resistance to ensure they do not crack. 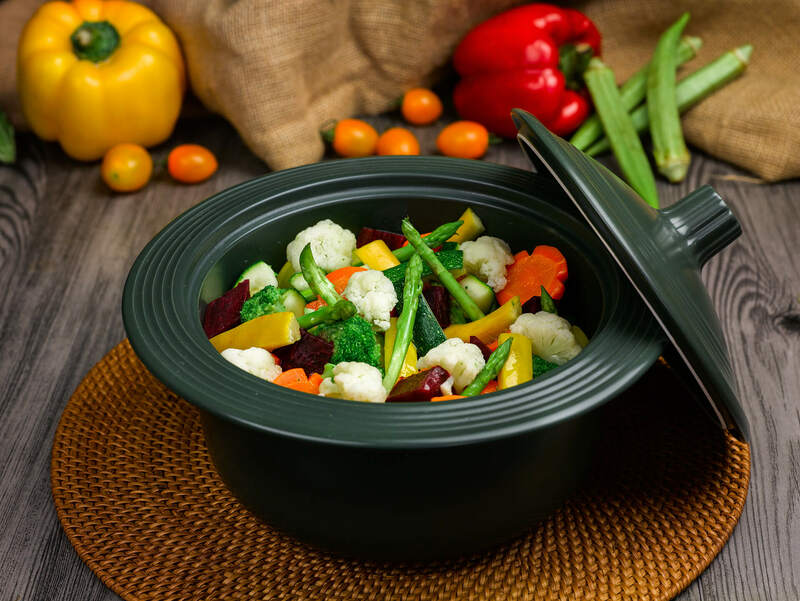 Their composition allows the heat to spread evenly to cook the food quickly while preserving flavors and nutrients.